District, town, and village in the government of Bessarabia, Russia, on the right bank of the Dniester estuary, twenty-seven miles southwest of Odessa. The Jewish population in the town in 1897 was 4,846, in the village 1,136, in the district 5,241. 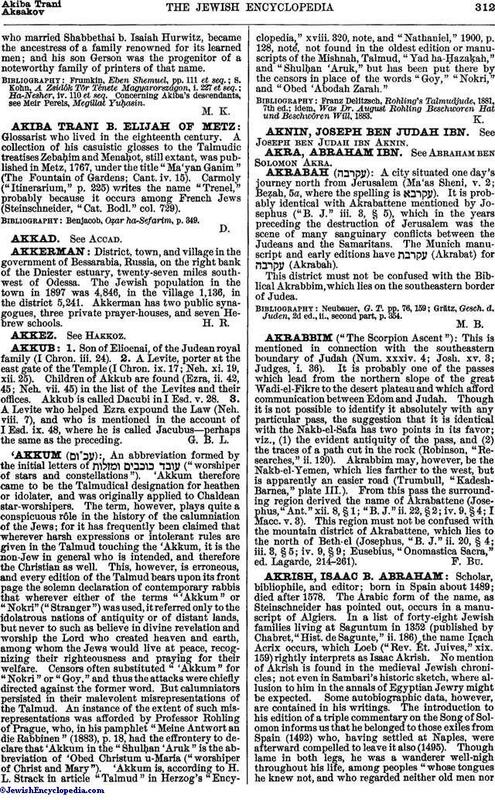 Akkerman has two public synagogues, three private prayer-houses, and seven Hebrew schools.